The Gambia a former British colony, is a Small West African country and the smallest in mainland Africa, bounded by Senegal, with a narrow Atlantic coastline. It’s known for its diverse ecosystems around the central Gambia River. Abundant wildlife in its Kiang West National Park and Bao Bolong Wetland Reserve includes rare birds, monkeys, alligators and hippos. The capital, Banjul, and nearby Serekunda offer access to beautiful beaches running south from Bakau to Kololi. It has been one of the favourite destinations for Western tourist in many years. Due to the hospitality and peaceful nature of her people the country was nicknamed “The Smiling Coast”. The “Domodas and Benna-chins” became the envy of our sub region that Ghanians and Nigerians claimed to be the originators of such beautiful food recipes. However, what lies beneath the beauties mentioned above are stories that need to be told. 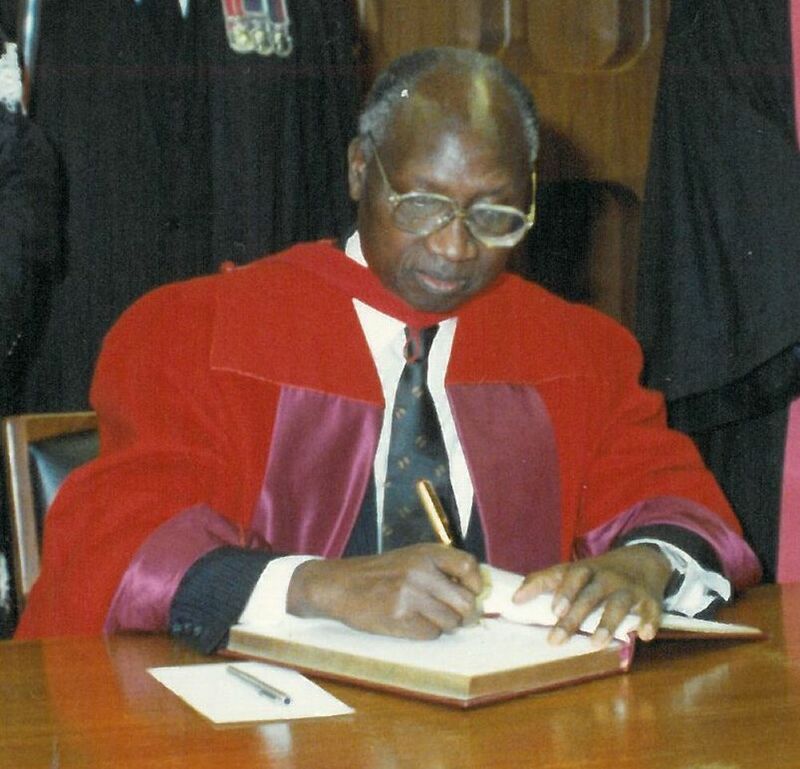 Since her independence from colonialism in February 1965, the country has had only two leaders, Sir Dawda Kairaba Jawara who ruled from independence until his overthrown in July 1994 by the then military junta leader, Lt Yahya Jammeh who continued to rule till this day 21 years and counting. Meanwhile, in a short but precise note on Jawara’s administration, it had its own flaws such as insufficient infrastructural developments, quality but not enough educational institutions countrywide especially at the tertiary levels where there was no university but only a college. Furthermore, another irony of Sir Dawda’s 29 years of presidency was NO TV station, either state or private while the next door neighbour Senegal, had theirs since the year Gambia gained her independence in 1965. In terms of transport infrastructures, there was not enough highways or feeder roads in the country and the energy sector also leaves much to be desired. In addition, the dispensing and delivery of health care was free, but not enough health facilities countrywide and these were some of the major deficiencies in Dawda Jawara’s 29 years of presidency. However, during Sir Dawda’s reign, the country enjoyed stable and vibrant economic developments which was not interfered with but dictated by natural economic forces and the entire country used to have their fair share of it. The educational institutions as mentioned earlier were not enough, but standard of quality of education was second to none in the sub region. Like education, the public transport infrastructure was inadequate, but there was a public transport corporation that was efficient and effective both at sea and on land in transporting people at south and north banks of the river Gambia. Furthermore, during Jawara’s time, there were vibrant, effective and efficient public institutions that were the envy of Africa in general and the sub region in particular. Such institutions include, Gambia Telecoms company (Gamtel) which was second best in Africa only to South African telecoms. 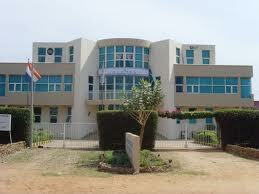 At the time, the country’s Social Security and Housing Finance Corporation (SSFHC) was the blueprint of Africa and such was its vibrancy that countries like Kenya, Uganda and even the mighty Nigeria do send delegates to come and take a lesson or two from their counterparts in the Gambia. Independent, effective and unbiased police and armed forces who were the beacons of our peace and stability was maintained throughout the first republic and the mass arrest and detention of people was alien in the country. Meanwhile, Parastatals like Gambia Ports Authority, Gambia Civil Aviation Authority, Gambia National Insurance, Gambia Public Transport Corporation, Gambia Groundnut Corporation etc., were independent of political interference and all having lead in pencil. GPA was the epic centre for re-export trade which used to yield the much needed foreign currency for the country. President Jawara’s administration also made the hotel and tourism industry another cornerstone of the country’s economy, which became the envy of not only Africa but the world at large. Farming, which was the country’s biggest employer and the highest contributing sector in terms GDP was protected and cared for by Jawara’s administration, so much so that it became a constitutional requirement for the president to tour the country and meet the farmers at least once a year to discuss their plight and needs. The most important achievements of Sir Dawda’s 29 years of presidency were his institution of democratic values in the country. To begin with, unlike many of our regional neighbours, under Jawara, Gambia has never experienced any religious, tribal or ethnic problems at all, people lived and intermarried harmoniously regardless of one’s religion, tribe or class, without anyone discriminating against the other. People, the press and opposition parties were free to exercise their democratic rights without the fear of arbitrary arrest and persecution. Such was the civil liberty given to people, in 1994, shortly before Yahya Jammeh and Co., illegally seized power, there was a massive protest against the Brikama Area Council for their planned to sell water from the street or public taps and when people have shown their disapproval, the Area Council backed down from the plan and abandoned it all together. Such was the power given to the people during Jawara’s reign that almost everyone knows this phrase “Democracy is the government of the people, by the people”. Such was Jawara’s true to democracy that the tiny West African country became the home in 1989 to a huge institution, African Centre for Democracy and Human Rights Studies (ACDHRS). During Sir Dawda’s administration, the ruling and opposition parties were given equal access to the country’s public radio station before, during and after elections. Most importantly, everyone was free to show your support to any party of your choice regardless of your status, class or background without the fear of being sacked from your work as a civil servant or being denied your developmental needs as a community. 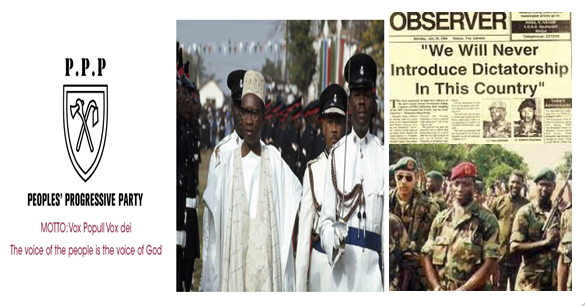 The list goes on and on and on, but what is clear was the freedom and liberty given to people to exercise their God and constitutional rights was unbreakable until the fateful day of 22nd July 1994 when Yahya Jammeh and Co seized the country from her people ILLEGALLY. End of Part one (1), check out for part two (2) in a moment. ← Gambia Dictator Yahya Jammeh at it Again: Amnesty or Pardon At What Cost?